It's no secret that I fell head over heels in love with the Pacific Northwest - the evergreen trees, the smell of the damp forest air, the awesome local restaurants, and the COFFEE. It's pretty crazy to think that this is the birthplace of the coffee culture we know today, almost everyone knows that Starbucks got it's start in the humble store front near Pike Place Market but there are so many other worthy places to check out! Here are just some of the shops we checked out on our trip, some we scouted on on Yelp and others we just happened upon, we probably consumed at least three cups of coffee a day and we still didn't even begin to explore all of the shops in town - this is but a sampling of all there is to offer. 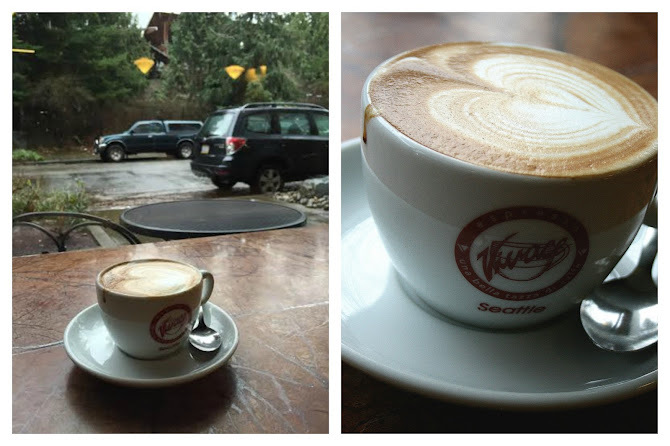 My all time favorite was Espresso Vivace in Seattle the employees were awesome and could "speak coffee" with you for hours and their espresso drinks offer some truly unique experiences for your tastebuds. The Cafe Nico was my personal fav with hints of orange peel and cinnamon. This little Portland coffee shop has really blown up over the past year, you can now find their cold brew in major grocery stores across the country. This new location in Vancouver (near Ester Short Park) has an on site roaster that provides the freshest kind of brew. They also have homemade syrups and their vanilla latte (pictured bottom top left) was super delicious. Also in Vancouver, the cafe offers locally sourced coffee along with artisan pastries. They also have a huge feature chalkboard wall that displays local art which is a little bonus. My absolute favorite place, this is my heaven on earth. I went to the location downtown across from the REI, you can grab a window seat and look at the glorious evergreens across the street. Located in Pioneer Square, this semi-swanky shop is known for the square of chocolate they serve with each beverage. We just stumbled upon this place walking around downtown, the baristas were super friendly and the atmosphere is perfect for people watching. Like I said this doesn't even begin to cover the coffee culture in PNW but if you're ever visiting in the area I highly suggest you check these places out - you won't be disappointed. 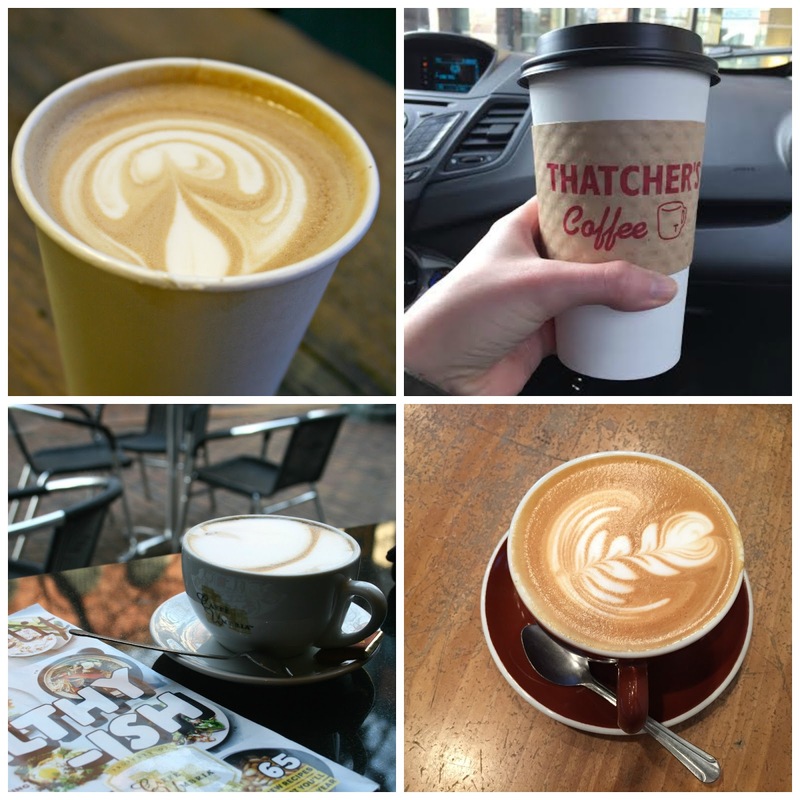 What are some of your favorite coffee spots? !